Only invoices approved by the client will be entered for payment. A report will be sent to the client listing the current cash, the payables that are due, and the ending cash. The client will then select which payables are approved to pay and send back the report. After the client has sent back the approved check register, checks will be cut and mailed. Credit Card Coding will be done on a weekly basis. This entails coding the credit card charges that have occurred and entering them into the Income Statement so the client is aware of the amount spent. 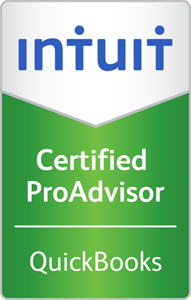 If the client has questions about Quickbooks or Quickbook functions, assistance is available. A budget will be prepared based on prior years with future projections. For new businesses, a budget will be created based on forecasted revenues and expenses. This allows each business to assess where they are in meeting their objectives and where adjustments need to be made. An Actual to Budget Income Statement, both MTD and YTD, will be prepared monthly so the client can compare if they are over or under budget and make adjustments accordingly. The Cash Flow Analysis will show all the actual information through the current month. The future months will be based on the current budget. However, if unexpected expenses or income arise, they will be shown on the Cash Flow Analysis so the client can prepare for the unexpected cash needs. Why are the actual revenue and expenses over or under budget? Are there actions that can be taken to bring the budget back in line? Are there any unexpected expenses or changes in revenue that need to be addressed? Can changes be made to increase revenue or decrease expenses? Is there enough capital to continue running the business? Is a capital call needed or can a distribution be given? Are there any capital expenditures over the next 6 months that need to be saved for? Is Financing or a Line of Credit needed? Expenses will be tied out to each job or service, so the client can determine the profitability of each job or service. This will enable the client to know whether prices should be raised, vendor negotiations for lower prices should commence, or if they are where they should be for pricing and expenses. If the project is ongoing and is being tied out to a budget, the client will be able to see if they are in line with the budget or if there are overages that need to be addressed. Year end financials will be prepared to send to the client’s CPA for tax return preparation. We can recommend a CPA if you don’t have one already.